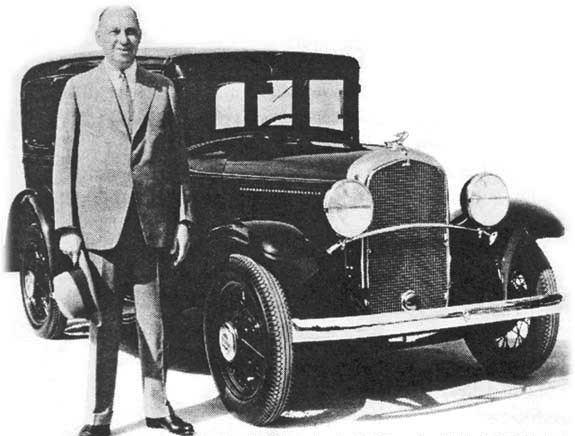 President and company founder Walter P. Chrysler poses with the first 1931 Plymouth in the PA series. The gloom and doom that settled over the nation in 1931 was every bit as thick as the dirt left behind after one of those horrific Prairie dust storms. From coast to coast, millions of Canadians eked out a pitiful existence because the nation’s economy had been crippled by a worldwide business depression. No sector of the economy was exempt. Wheat prices collapsed, the value of pulp and paper plummeted, fish prices sank, companies went bust and factories fettered their doors. So many Manitobans were unemployed and homeless that in January of 1931 the Premier was forced to turn, hat in hand, to Ottawa in hopes that the federal government would pick up the tab for 80 percent of that province’s relief. The Keystone Province's coffers were empty. As the ranks of the unemployed swelled, relief (welfare) applicants mushroomed to numbers that reached the stratosphere. The provincial treasurer could not even cover Manitoba's commitment to Ottawa for its part of the Old Age Pension. The Keystone Province was headed for bankruptcy when the federal government finally intervened. The 1931 Plymouth PA Four-door Sedan sold for $795 f.o.b. Windsor, Ontario. A total of 3,292 Plymouths sold throughout the Dominion that year. Thousands of jobless men in British Columbia were organized and loud in their demands for work and relief assistance. Politicians feared these desperate citizens might embrace Communism or worse, commit acts of violence. Emergency loans from the chartered banks covered relief cheques to BC's unemployed added up to a a stunning $2 million in 1931. 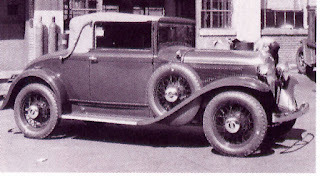 The most expensive Plymouth PA in the 1931 lineup was the Convertible Coupe, listing for $825. Unemployment in Ontario spiraled dangerously upward toward the 10 percent mark in 1931. While the treasury at Queen’s Park was still in the black, revenues were down by shocking $8 million in 1930 and would fall another $3 million by the end of 1931. If things were bad across Canada, they were positively bleak in the Dominion of Newfoundland where the public debt had skyrocketed to $110 million. Britain, to whom Newfoundland was closely tied, abandoned the gold standard that year. Newfoundland’s economy was based primarily on its fisheries. Fish products were priced in Pounds Sterling and without gold to back the currency, competitors opted for catch from Canada’s Maritime Provinces. The House of Assembly in St. John’s scrambled to stay afloat. Desperate to shore up the economy, legislators voted to borrow $8 million but no financial institution would loan the government any money. The handwriting was on the wall for the island nation as it skated on thinner and thinner ice and would soon plunge into the black and icy waters of bankruptcy. Against this stark backdrop, the automakers soldiered on. Canadian passenger car production had been 125,442 units in 1930 but as the depression deepened daily, orders for new cars and trucks dwindled. Still, motorized vehicles were a necessity and as long as there were any buyers out there, the manufacturers would beat the bushes for customers. Sales would be far and few between, the domestic output would drop by nearly half to 65,093 units at year’s end and would tumble even further in 1932. 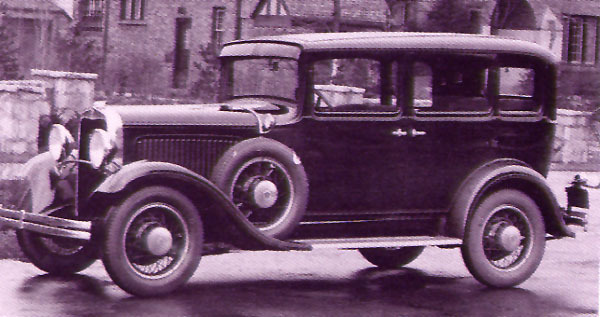 Plymouth started 1931 with the warmed-over Model U. The Four-door Sedan weighed in at 1,238 kilos (2,730 pounds). Chrysler Canada started out the year by selling off last year's Plymouth 30-U models. Records indicate that when the last of the 802 units of the “Finer U” was shipped from its Windsor, Ontario plant, the Division then fielded an all-new Plymouth PA in six body styles. As the first cars came down the assembly lines in May, salesmen were taught how to sell the finer points of the new Plymouth. The car featured a Double Drop chassis and a 2768-millimetre (109-inch) wheelbase. Other standard equipment included Free Wheeling, “which permits quick and noiseless shifting of gears in all forward speeds without declutching. Easy-Shift transmission, permitted drivers to go from “second to high and back again at speeds of 25 (40 km) and 45 (80 km) miles an hour without clashing or grinding gears” Safety-Steel Bodies made the structure more rigid and more quiet. Plymouth salesmen could brag that this was the only car in its price class to offer internal hydraulic brakes. The Business Roadster listed for $655, while the Roaster with a rumble seat carried a price tag of $760. The Business Coupe sold for $775, the Four-door Sedan could be had for $825 and the snazzy Convertible Coupe cost $825. All prices were f.o.b. Windsor, Ontario and included five wire wheels with freight and taxes tacked on. A total of 2,576 units of the Plymouth PA were shipped during 1931. A 1931 Dodge Brothers truck. Making bold moves in a miserable market, Chrysler Canada aggressively added Dodge Brothers trucks to its list of domestically build products and then began producing the luxurious Chrysler Imperials in its Windsor plant, too. A 1931 Chrysler Imperial dual cowl Phaeton. To keep the dealer body solvent, executives in Windsor wisely made Plymouth available through all of Chrysler Canada’s dealerships. Every Chrysler, Dodge and DeSoto dealer in the Dominion carried the stylish, inexpensive Plymouth. Those folks who still had a few bucks didn’t need crystal balls to see the value in Plymouth and snapped them up. Records show that 3,222 units were built domestically and 14 Model U and 46 of the Model PA were imported from the USA for domestic sale. Another long-ago entry indicates that 3,378 Plymouth passenger cars were shipped from Windsor in 1931. The latter figure included vehicles built outside of Canada for trans-shipment to customers in other parts of the British Empire.